Spring show by Morgana King and Xenia Sophia Roma. Whatever will be will be! 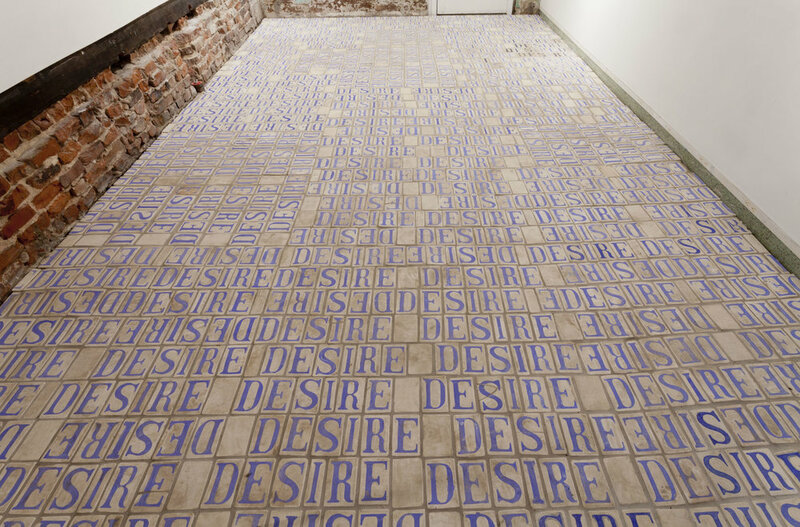 Untitled (Desire Tiles), is a ceramic floor installation created by New Orleans and Los Angeles based artist, Claire Kohne. Kohne is a multi-disciplinary artist whose work includes installation, collaborative performance, writing, and dish ware. After receiving her BA from UCLA in 2011, Kohne moved to New Orleans in 2013. Her work has been exhibited in New Orleans, Los Angeles, and Berlin. Flatland is an exhibition of artists who are often identified as sculptors but in much of their work have a strong connection to something seemingly opposite, flatness. The selected pieces were chosen based on the artist layering of various materials and mediums that invoke flatness in color, line, and concept. 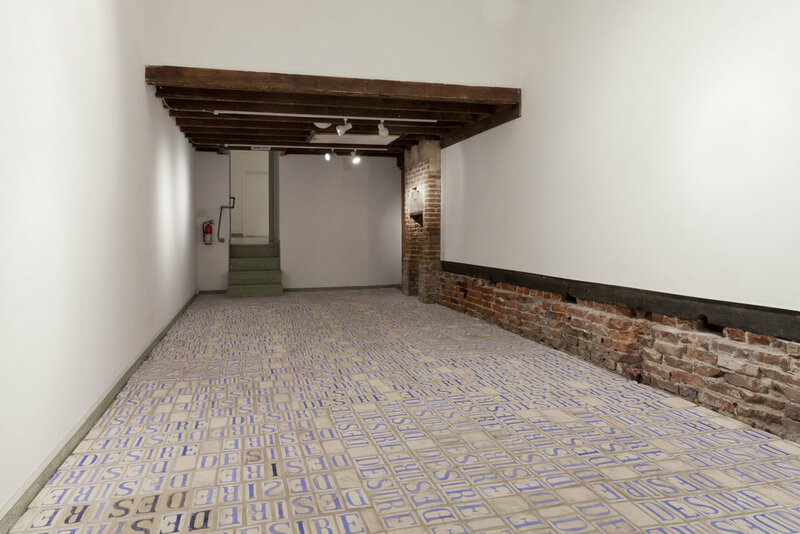 Flatland, highlights five artists that investigate the merging of two dimensional and three dimensional space. Zachary Herrmann, Untitled, acrylic, 2013.